Skip the laundromat altogether with your own portable washer and dryer. This convenient combo makes washing and drying clothes a breeze, as both can be done simultaneously for a quick yet efficient cleaning. Its lightweight design makes it ideal for camping and countless other extended outings. With this mini washer, you'll never have a dirty clothing emergency. 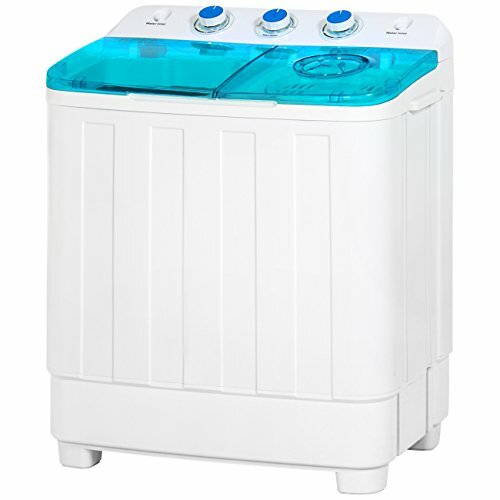 Overall Dimensions: 23"(L) x 13.5"(W) x 28.75"(H); Washer Capacity: 10-12 lbs.